We celebrated Thanksgiving a few weeks ago and, with it, the season of “giving thanks”ear are filled with holiday events, year-end appeals and many opportunities to show appreciation to our friends, supporters and stakeholders. It is also an important time to make sure we are following best practices for fundraising acknowledgements, relationships and compliancy. This is significant year-round – whether annual campaign, capital campaign, memorials, projects, special events or the many other ways our donors support us – but, with the flurry of giving prior to December 31, year-end is an ideal time for an annual check-up. Are your policies in order? Charitable organizations should have clear policies in place regarding how donations are received and processed internally, as well as the process for acknowledging donors for their gifts. Policies should also assure gifts will be used for the donor’s intent, do not present conflicts or ethical challenges, and the privacy of the donor will be protected. Are you doing what’s expected by the IRS? Thank you letters often function as substantiation for a donation. However, the Internal Revenue Service is quite specific on what must be included before a donor may claim an income tax deduction. Regulations are referenced in IRS Publication 1771 (http://www.irs.gov/pub/irs-pdf/p1771.pdf) and the gift substantiation section of the IRS.gov website (http://www.irs.gov/Charities-&-Non-Profits/Substantiating-Charitable-Contributions). In particular, donors must have a bank record and written acknowledgement for any gift over $250. Regulations include how to thank donors for non-cash gifts, how to substantiate the value of a charity auction purchase, and what a written gift acknowledgement must include. A statement that the organization is recognized as tax-exempt by the IRS under Section 501(c)3. The date the donation is received. A statement on whether or not the organization received goods or services in exchange for the donation, i.e. “No goods or services were received in return for this gift” or a statement recognizing the value of a gift/benefit the donor received, such as tickets or dinner, which is then deducted from the donation. The net is the tax deductible contribution. Are you doing what’s best for donors? Obviously, being in compliance is very important to your funders. But, what else should be covered in acknowledgements from the donor perspective? Thank you letters, personal notes and all donor communication are important pieces in the relationship building mix. One can never say thank you enough or too soon. Gifts should be acknowledged within 24-72 hours. Signatures should be original and not photocopied. An additional personal note, especially for larger donors, should also be sent within a day or so. If you are sending out hundreds or thousands of acknowledgement letters, personalization may seem overwhelming but you can do it with a quick note near the signature line. When possible, add something that shows you know and are interested in them as a person or friend, and not simply as a donor. Fundraising experts Penelope Burke and Simone Joyeaux are among philanthropy leaders who have championed “donor centric fundraising” which stresses communication from the donor’s perspective, not organization’s need. 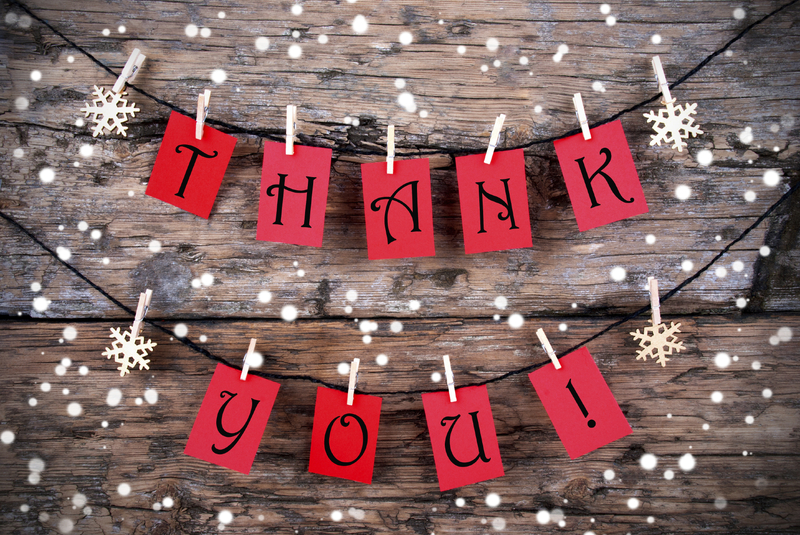 The most effective thank you’s are telling donors how their gifts benefited others and created impact. Share a photo, a story, a newsletter or a clipping. Report back again later in the year or invite them to visit or otherwise become engaged. Consider acknowledgement/thank you letter as a key element in strengthening your development efforts and ongoing donor relationships.